Ex-Navy SEAL Jack Kirkland surfaces from an aborted underwater salvage mission to find the Earth burning. Solar flares have triggered a series of gargantuan natural disasters. Earthquakes and hellfire rock the globe. Air Force One has vanished from the skies with America’s president on board. 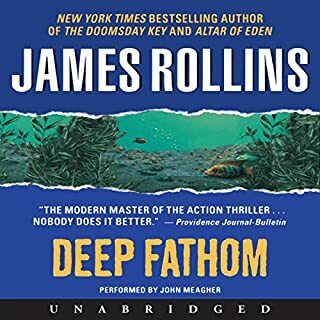 Now, with the US on the narrow brink of a nuclear apocalypse, Kirkland must pilot his oceangoing exploration ship, Deep Fathom, on a desperate mission miles below the ocean’s surface. In the haunted, war-torn highlands of Afghanistan, amid the ruins of Shahr-e-Gholghol, an archaeology team is massacred in the night. Sergeant Jordan Stone and his crack forensic team are called in to examine the site, to hunt for the perpetrators of this horrific act. But the discovery of a survivor - a child of 10 - will shatter all the team knows about life and death. Off the blustery streets in the medieval heart of Budapest, Captain Tucker Wayne and his war dog, Kane, rescue a mysterious woman fleeing three armed men. The secret she holds will unlock a terrible treasure, one steeped in blood and treachery, tied to a crime going back to the fall of Nazi Germany and a heritage of suffering and pain that reaches out from the past to wreak havoc today. Carved into a moving island of ice twice the size of the United States, Ice Station Grendel has been abandoned for more than 70 years. The twisted brainchild of the finest minds of the former Soviet Union, it was designed to be inaccessible and virtually invisible. But an American undersea research vessel has inadvertently pulled too close - and something has been sighted moving inside the allegedly deserted facility, something whose survival defies every natural law. 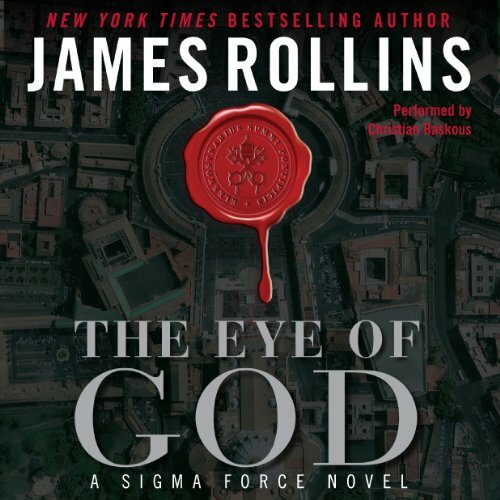 In The Eye of God, a Sigma Force novel, New York Times best-selling author James Rollins delivers an apocalyptic vision of a future predicted by the distant past. In the wilds of Mongolia, a research satellite has crashed, triggering an explosive search for its valuable cargo: a code-black physics project connected to the study of dark energy...and a shocking image of the eastern seaboard of the United States in utter ruin. At the Vatican, a package arrives containing two strange artifacts: a skull scrawled with ancient Aramaic and a tome bound in human skin. DNA evidence reveals that both came from the same body: the long-dead Mongol king Genghis Khan. Would you try another book from James Rollins and/or Christian Baskous? Love the Sigma Force Books, however this story seemed really farfetched and the poor narration was not on the par with the story. Will read more Rollins - won't listen to Baskous again. Who would you have cast as narrator instead of Christian Baskous? When a new book in a series I like is released, I go back and listen to the most recent one to "gear up" for the new one. This narrarator was not able to keep me focused on the story,and I found my attention wandering. Disappointing! The narration was very poor. It really made the story hard to follow and stay tuned in. I really could not get past the narrator accents. The story may have been good, just not sure. Just didn't seem to go with the other Sigma books. Narration!! Took a lot away from the story. What made the experience of listening to The Eye of God the most enjoyable? 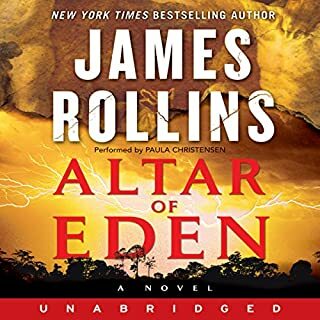 I am a HUGE James Rollins fan. I own all of his books in Hardback and Audio. But I have to say that the reader of this book was not good. I am sure he is a nice person but when you cannot distinguish between an Italian accent and a Vietnamese accent then this is not a good thing. Hire Scott Brick the next time. 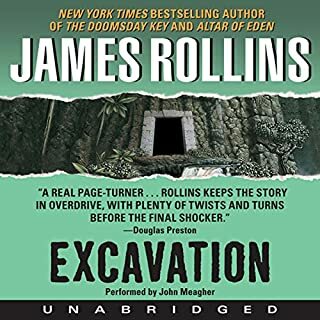 I have to agree with the other reviewers: Audiobook publishers should not change narrators in the middle of a series ... unless, of course, they switch to a 𝘣𝑒𝘵𝘵𝑒𝘳 narrator -- which they didn't, in this case -- or the original actor becomes unavailable. Peter Jay Fernandez -- the original narrator of Rollins' Sigma Force Series -- did a good job narrating the previous episodes, so why did the publisher switch to a less accomplished actor? Did Fernandez get too expensive? Too busy? Did he get sick? I know that he didn't die, at least as of this writing .... As previous reviewers have pointed out, Christian Baskous -- the actor chosen to narrate "The Eye of God" -- does not have Fernandez' acting chops, semi-spoiling this audiobook. 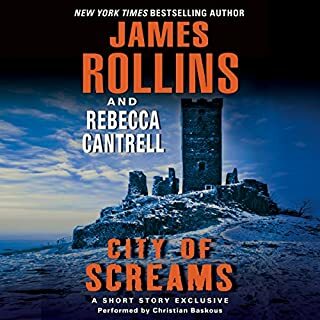 I still recommend this audiobook to inveterate Rollins fans -- like me -- but prepare yourselves for awkward, amateurish, distracting narration. In Baskous' defense, I can safely say that he has a nice voice. Perhaps he will, in time, develop into a better audiobook narrator. As for the story, "The Eye of God" extrapolates Rollins' stellar trajectory. (I am excluding "The Blood Gospel" from that trajectory, since Rollins had a debilitating co-author for that one.) 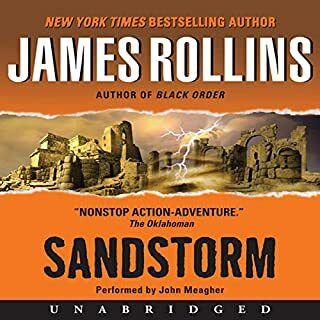 Rollins fans already know that they need to pretty much completely suspend disbelief whenever they pick up a Rollins audiobook. "The Eye of God" continues that trend, and continues Rollins' joyous exploration into the weird world of quantum physics -- in this case, Dark Energy (again -- see "Deep Fathom"). If you enjoy opening your mind to outlandish speculation, then I think that you will probably enjoy "The Eye of God," even despite its unfortunate choice of narrator. ...to the end of this book. I have over 500 books in my Audible Library, never have i had a Narrator that was this bad. The storyline is compelling but the performer takes away a great deal from the overall experience. His accents are horrible, can't tell the difference from an Italian to a Korean to a VietNamese accent. Also, the reader's New England native accent makes things a little comical in points. Plus, the awkward pauses remove a great deal from the flow and sounds like someone trying to add drama while at the same time he reads some sentences very quickly when they shouldn't be. Overall, I found myself straining to get through the book when normally I'll miss sleep to finish a Sigma Force novel. Also, there isn't a truly menacing villain that lends to anything resembling tension. But hey, a good Sigma Force novel is still worth every penny. Nope. Missing that really villainous villain, instead we got more Snidley Whiplash. Anyone, even my 3 year old niece. 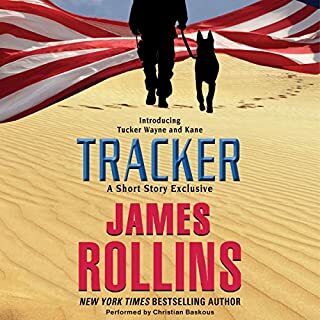 I enjoyed the story, as I have with all of James Rollins' Sigma Force novels. However, the narration was awful. All the accents sounded Asian, including the Italians. I think I would have enjoyed this story much more if I would have read it myself. Fun story- had to quit because of the narrator. Completely 100% off base in reading. The worst I have ever heard. Please pass on the reviews about the narrator.